This post has been sponsored by Kraft Heinz Canada ULC. All thoughts and opinions are my own. I’ve got your perfect holiday dessert, and you don’t even need to turn on your oven! 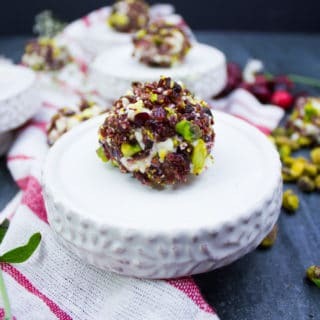 These Mini Cheesecake Bites with Pistachios and Cranberries are tiny, heavenly bites of the holidays!